If you think you aren't able to enjoy comfortably with your income earning then, you aren't the one who express your dissatisfaction. Most of my friends complain about coping with steeply rising in daily expenses especially food, groceries, property, children's education, gas/petrol etc. in order to survive in the cities. Think again. You aren't the only one feeling the burden, stress and struggle to cope with high living expenses in your country but the same phenomenon occurs in other countries around the world. In the recent video clip reported on 17th September 2012, Bloomberg shares a chart of income inequality in the United States of America where the Rich Get Richer while the Middle Class and Poor Get Poorer in the U.S.A. The same issue of income inequality happens in Europe and Asia regions as well. Why is it happening to the new generations who struggle to have better lifestyle just like their parents' generation? The income/wealthy gap between rich and poor is getting wider in every country. Middle income earners are unable to fit in between the rich and poor due to the high rising costs of living thus, they begin to fall and create a big portion of poor category. Even though our salary earning is growing but we don't even meet our ends comfortably. One of the main factors is the relationship between demand and supply for the basic needs, wants and care. As the rate of human population growth frighteningly fast. It's already reaching over seven billion on 31st October, 2012. Thus, everyone is taught to chase similar dreams like, graduating with degree or master in order to land into better white collar career, buying properties to start family as well for investment etc. As such, the land becomes limited for farming and agriculture since most of the land are developed for commercial and private development in the cities. When land becomes limited resources for farming and agriculture then, we experience the global warming due to the rise of the temperature on the Earth's land and ocean which is a threat of the food cycle to the sea animals, animals and plants including the humans as well. Recently, a new term arises called "Boomerang Children" where the young adults are moving back to their parents' homes since they are having some difficulties to support themselves. Some of them even bring their children and wives along to live with their parents. As the property is getting more expensive to rent or purchase, many of the young generations can't provide the basic care and needs for themselves and family members. Thus, we will foresee and experience another rising costs of living in the next few months when the food prices keep rising due to terrible and long drought which destroys many corn and soya plants in the U.S.A. The U.S.A is the main exporter for the corn supply thus, this will affect on the rising of the food industry in the next couple of months. Many cattle producers around the world depend on the cheap corn supplies to feed their animals even the food producers use corn and soya ingredients as part of food processing for making tofu, cooking oil, fast food meal, soft drink, corn syrup, meat, dairy products like, butter, cheese and milk and many more. Due to the effect of the rising costs in food, gas/petrol, education, property and other basic needs like medical care, the rate of inflation keeps escalating sharply over the years thus, we as the consumers feel the pinched and try to squeeze and cut down our household bills spending in order to accommodate with the rising of the living costs. More consumers might not able to cope and adapt with the rising living costs even with the slight adjustment to the income earning, unless the world's leaders control the inflation rate by focusing on the basic needs to the people. 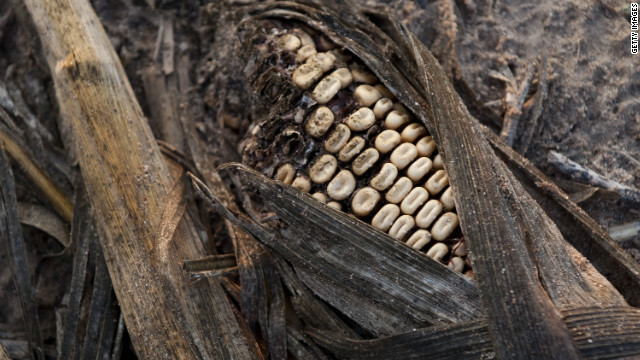 Rotting corn was damaged by severe drought on a farm near Bruceville, Indiana. 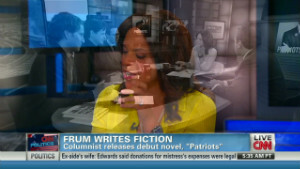 Satire novel exposes hypocrisy in D.C. But step outside the developed world, and the price of food suddenly becomes the single most important fact of human economic life. In poor countries, people typically spend half their incomes on food -- and by "food," they mean first and foremost bread. "The conversations of tiny groups of Cairo's English-speaking elites, and their Western drinking companions, were a world apart from talk among the Egyptian masses. ... The main hope of those who poured into Tahrir Square was shared by the revolutionaries in Tunisia: that sudden and radical change would miraculously mean affordable food." The Arab Spring of 2011 is sometimes compared to the revolutions of 1848. That's apter than people realize: the "hungry '40s" were years of bad harvests across Europe. Hungry people are angry people, and angry people bring governments down. Will 2013 bring us social turmoil in Brazil, strikes in China or revolution in Pakistan? The answer can probably be read in the price indexes of the commodities exchanges -- and it is anything but reassuring. FOOD, petrol, bills, everything has gone up – except wages. At 2.5 per cent, inflation is still well above the Bank of England’s target, and it is thought the Bank will have to print yet more money next month to try to get the economy moving. Since we went into recession four years ago we’ve been bombarded by statistics about the economy. But how has it really impacted on us and what is the true cost of living? To find out, we asked a selection of Sun readers to dig out their main monthly bills from 2008 and compare them with those for 2012. Our findings reveal just how much the nation is having to tighten its belt. THE difference in wages and bills over the last few years is massive. I’m paying much more for everything yet we’re getting paid less. Rent is up by over a quarter and our fuel bills and shopping bills are more than double. That would have been manageable if our income had grown at the same pace, but it’s actually declined in that period. We’ve been tightening our belts everywhere possible but the costs are still mounting. We’ve both been back to college to complete courses to increase our income. Adam has just got his forklift truck licence and I’ve done food safety and sugar craft, so I can make cakes as a sideline. I’ve just had to buy high school uniforms for four of my kids and they cost £200 per child. The kids are talking about wanting Kindles for Christmas too, it’s never-ending. The recession has made finances difficult to manage, especially for families. We try to make sure the kids don’t suffer – it’s me and Adam who go without. Thankfully, Adam’s just started a new job as a forklift truck driver so we should get by, just about. The times are gone where you could afford family holidays and to splurge on luxuries, now it’s just about getting by for families like us. IT’S incredible how much things have gone up by in the past four years. You don’t realise just how much until you write it all down. I fell pregnant with Lily in 2008 and before that I was living by myself in a flat. There was never any money left at the end of the month even then, but at that time I didn’t have to worry about supporting a family. Our rent went up in 2010 as we moved to a bigger house. But later, when we moved again to a house in the same area and exactly the same size, we had to pay more than £100 per month extra. I think landlords are charging much more in rent nowadays. They know many families are forced to rent because they are struggling to buy their own home, you need such a large deposit to get a mortgage nowadays. The cost of food shopping has gone up a lot too. I always buy the supermarket’s own brand as it’s much cheaper and I constantly look out for deals. Utility bills are a big challenge too. I no longer use my tumble dryer as it just eats electricity and I switch off every light and appliance after we’ve finished with it. Chris was recently made redundant, but he is going back to college to get some more qualifications, so we’re hoping he’ll be able to find work quickly. The baby is due in December. I think I might have to look at going back to work as it’s getting tougher to manage everything on just one salary. WHEN we started up the business in 2008 we knew it was a recession-proof product we were offering so we were confident it would work. But even so, persuading the banks to lend us the money to get things up and running was tricky. Away from work, I had just come back from travelling so, for me, money was fairly tight anyway. I haven’t noticed a huge difference in prices because as the cost of living has risen my income has gone up, but things are definitely more expensive. Also, living in an area like Cambridge, which is generally quite expensive anyway, you tend to be quite insulated from things like inflation changes. But there are definitely tell-tale signs starting to show. It’s the little things you notice, like when you go out for coffee or pop out for a pint – they seem to be constantly creeping up in price. And if you want to go away and stay a few nights in a hotel the prices seem to have changed noticeably. I don’t think you can blame the businesses really, they’re just trying to protect their margins. Shopping is when we seem to notice it the most, or when we fill up on fuel – that’s definitely more expensive. And holidays too. We went to Majorca this year, but we would definitely have gone long-haul if we could have afforded it. I don’t think holiday prices have been anywhere as near as competitive as they’ve tried to make out. THE stock I buy has been getting more and more expensive but people have less money to spend. For my regulars, every penny counts. People will come in with change for the exact cost of their shop so they know when prices have gone up – even by 1p. My customers are particularly upset about the price change in cigarettes. The 2012 March budget pushed prices up by 37p and this month the price of tobacco has gone up again. Around 40 per cent of my trade is cigarettes so it’s had a huge impact on business. They also complain about the rising cost of food, but I just say, “There’s nothing I can do”. I wish there was. People don’t understand how hard it is for retailers right now. But I know that my customers are struggling, so I often end up taking the hit myself. A huge problem for me is the increasing cost of utilities. They are constantly rising. It’s difficult for us shop owners to survive rising costs while customers are penny pinching and takings are low. Rent is also a nightmare because landlords keep putting the rates up on shops. A lot of the other shop owners in my area say this needs to stop. We won’t be able to stay if they keep rising and rising. I can’t continue to operate like this. If something doesn’t change I don’t think I’ll be able to keep my head above water for much longer. I’m being stretched in so many different ways. Sometimes I feel like my business is an elastic band and I don’t know how long it can keep on stretching. Eventually it’s going to snap. IT has definitely become much harder to live over the last four years. While our income has gone up, the amount going out has rocketed. With the economy struggling, most of the companies that employed drivers have let their staff go. That means there are more people out there who are self-employed, and more of us to compete for the same jobs. There is far more competition in pricing than there was before. With the firms, they would charge a flat rate but when you are on your own you have to try to offer the best deal. Now you can end up losing a job over a £5 difference in pricing, so our figures are getting pretty tight. I also worked out that I have to work a full day every week just to cover my fuel and insurance costs. That has been the big hit on our out-goings. Insurance just goes up and up, it’s a couple of hundred more now than it was, and, of course, diesel is 40p a litre more. It costs me around £150 a week just to fill up the van. The cost of living has gone up as well. We pay a bit more to buy our food but all of our utility bills have increased dramatically. We can’t afford any frivolities now, we can’t go on holiday or anything. We try to save a little bit for the future, but things happen that eat that up. I broke my arm earlier this year and that ate up our savings while I was off. Whatever the Government have been doing over the last few years hasn’t done anything for the way we live. Interest rates don’t affect us as we have nothing to save and we pay rent rather than a mortgage. Britain will allow parents to use money locked up in pension schemes to help their children obtain mortgages and buy their own home, Deputy Prime Minister Nick Clegg said on Sunday. The scheme, still at the planning stage, aims to give a lift to a sluggish economy with a £125 million ($200 million) boost to the housing and construction market. It comes after Clegg and Prime Minister David Cameron announced £10 billion of government backing for new housing schemes earlier this month. Parents would be able to use a quarter of the value of their pension savings - normally untouchable until they retire - as security for a cash deposit for their children's mortgage. Home ownership is popular in Britain but the cost of buying a property has risen beyond the reach of many young people after lenders tightened borrowing terms following the financial crisis. Should Mortgages Be at 2.8 Percent? "We have thousands of young people who are desperate to get their feet on the first rung of the property ladder but deposits have doubled and the number of young people asking help from family members to get a mortgage has doubled," Clegg told BBC television. "We are going to allow ... parents and grandparents to use their pension pots to act as a guarantee so their children and grandchildren can take out a deposit and buy a home," he said from his Liberal Democrat party conference in Brighton, southern England. Party aides said they expected around 12,500 Britons might take advantage of the scheme, pledging an average £10,000 from their pensions for mortgage deposits. However, finance experts were cautious about the proposal. "Any scheme which uses pensions as a guarantee must ensure that it does not inadvertently make the saver worse off when they retire," said Otto Thoresen, director general of the Association of British Insurers. World food prices could hike in the first quarter of next year, and then keep rising, as crops in the US have been hit by the country's worst drought since 1936, an analysis by Rabobank. By June 2013, food prices tracked by the United Nations could climb up to 15 percent from current levels, according to the bank's analysts. "The coming year will see the world economy re-enter a period of agflation as grain and oilseed stocks decline to critically low levels, pushing the FAO [Food and Agricultural Organisation] Food Price Index above record nominal highs set in February 2011," they said. According to the Telegraph, for policy-makers, the rise in food prices signals problems, as high food prices tend to magnify social unrest. "Politics and economics are inextricably linked as exemplified by the Arab Spring, which was preceded by a rise in food prices," Hermes fund managers in a recent report said. According to the report, Rabobank said that the consumer impact could be less painful this time compared to 2008, when there were severe shortages of wheat and rice. Rabobank said that this is because today's shortages are being seen more in crops used as animal feed, such as corn and soybeans. Food prices will rise in a very different global economic environment, with Chinese demand slowing and the debt problems of the West weighing on world growth, it said. Britons, who consume high levels of meat and dairy products, will definitely feel the impact of this latest bout of agflation, Rabobank said. 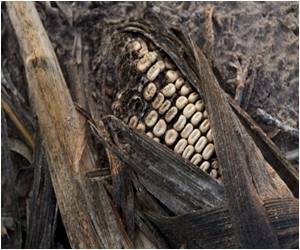 America's corn harvest may be under way, but a summer drought has withered away much of the nation's expected yield. As a result, the price of corn is up as much as 40 per cent over last year. That's a problem because corn is a key ingredient in almost everything, from ketchup to coca-cola. Al Jazeera's Kimberly Halkett reports. Among all foreign browsers of Realtor.com, Canadians rank No. 1, routinely checking out Miami, Fort Lauderdale and Orlando, according to data provided by the website. With many U.S. consumers still lukewarm about buying into the American dream, Canadians, Chinese and Mexicans are burning up Realtors’ cell phones and emails, grabbing up swank vacation nooks, secure places to stash their cash, or just old-fashioned bargains. Foreign purchases of U.S. homes have climbed by 24 percent since 2011, reports the National Association of Realtors, reaching $82.5 billion in total annual sales, and helping brace once-creeky markets like Miami. But even as residential prices perk up in many U.S. cities, international interest in American homes is expected to hold firm – simply because with many international buyers, it’s not all about the dollar signs, said Jed Smith, an NAR economist. As with some American homebuyers, it’s also about status. “Foreigners purchase for a variety of reasons: trophy homes, desire to put money in the U.S. for safety, desire to have a place to visit for vacation, desire for a rental unit,” Smith said, adding that about half of those buyers move to the United States. “These factors … tend to dampen the effects of changes in total overall cost." Case in point: Miami, where home values bumped 2.1 percent higher from June to July, according to the S&P Case-Shiller index released Tuesday. “That’s very much an international city that tends to attract people from a variety of places who also have quite a bit of money and who are looking to make a statement,” Smith said. Through March 2011 to March this year, Canadians led the international housing invasion, comprising 24 percent of foreign sales, or about $16 billion in collective purchases, Smith said. For Canadians, proximity is the prime enticement to buy American and many seem drawn to the balmy breezes of Florida, said Steve Berkowitz, CEO of Realtor.com, operator Move, Inc.
“A second home in the U.S. provides a relatively inexpensive way for Canadians to escape snowy weather and below-freezing temperatures,” Berkowitz said. Chinese consumers also are frequent visitors to Realtor.com, virtually exploring neighborhoods in Los Angeles and San Francisco, the site reports. Chinese comprised 11 percent of all international transactions from March 2011 to this past March – forming the second-largest group of foreign buyers and spending about $9 billion during that span on American housing, according to NAR. Income levels largely drive the consumer tastes of Chinese house hunters, experts say. In San Francisco, upscale high-rises that have attracted venture capitalists and members of the San Francisco 49ers now are drawing affluent Chinese residents, said Realtor Matt Fuller. Such plush condo buildings include Millennium Tower – which boasts three sets of concierges and a salt-water pool – and One Rincon Hill where, he said, prices can touch seven figures. Those exclusive, residential spires are relatively new to the Bay Area, he added. “It’s hard to say if the number of Chinese buyers is increasing because we have more interest (from China) or if we’re noticing this trend because this is a style of construction and a level of service that we didn’t used to have here,” Fuller said. Those elite addresses are fancied by British buyers as well, Fuller said. Online shoppers from the United Kingdom comprise one of the thickest clumps of foreign lookie-loos at Realtor.com. They’ve also been checking out Los Angeles, Orlando and Las Vegas, according to the site’s stats. And when they do peruse American real estate online, the Brits – like many other Europeans – tend to click on larger “McMansions,” said Jed Kolko, chief economist at Trulia. After reviewing user trends at that real estate website, Kolko noticed that Dutch consumers check out the biggest American abodes, with a median size of 2,400 square feet, followed closely by U.K. consumers, whose targeted homes have a median size of 2,342 square feet. Americans who use Trulia examine properties with a median size of 1,854 square feet. “The rest of the world might make fun of Americans for our big portions, big homes and big butts, but it turns out that most foreigners look at bigger homes than what most Americans look at – among all searches of U.S. homes on Trulia,” Kolko wrote in a blog last week. By comparison, Mexican consumers who tap Trulia’s listings are focused on even smaller homes – those with a median size of 1,794 square feet, Kolko reported. But Mexicans currently spend about $6.5 billion a year on U.S. homes, NAR says, ranking Mexico at No. 3 among the nations that lately have been gobbling up American properties. On Realtor.com, Mexicans have been inspecting homes in San Antonio and Laredo, Texas, the site reports. And in Miami, one Mexican client taught Realtor Veissi just how careful people in that country have become about protecting their monetary secrets. Although Veissi was representing that Mexican family in its house search, her description of the artful process sounds like it involved all the cunning of a big-stakes poker game. “They started with a price point of $250,000 and asked me about the price of eggs and milk here,” Veissi said. “They led me to believe they were on a budget. Then they gradually increased the price (for their hunt), which I found interesting, and ended up with a home at close to $1 million. Kathy Warbelow and Frank Bass, Bloomberg Copyright 2012 Bloomberg. All rights reserved. This material may not be published, broadcast, rewritten or redistributed. Sept. 25 (Bloomberg) -- The Class of 2008, born during the historic bull market that closed the past century, reached a dubious distinction last year: More than a million of the college graduates have gone back home. Reflecting on the changing circumstances among 20-something adults, many of whom backed Barack Obama’s presidential campaign in 2008, Republican vice presidential candidate Paul Ryan suggested some may have second thoughts this year. Not all young adults have “to live out their twenties in their childhood bedrooms, staring up at fading Obama posters and wondering when they can move out and get going with life,” he said at his party’s convention in Florida last month. The number of unemployed Americans has surged 60 percent to about 12.5 million from 7.82 million in the first quarter of 2008, according to data compiled by Bloomberg. The nation’s jobless rate, which peaked at 10 percent in October 2009, was 8.1 percent in August, compared with 5.1 percent in March 2008. Kevin Sanchez graduated from the University of Texas at Austin in 2008 with a bachelors degree in journalism and no job. He moved back home to Edinburg, a South Texas city in the nation’s poorest metro area, centered on neighboring McAllen. He joined his parents, a grandmother and a younger sister. After a month, his parents insisted that he get a job. Now Sanchez, 26, teaches speech communication at a middle school. During the past four years, he also earned a master’s degree in finance at the University of Texas-Pan American in Edinburg. Sanchez supplements his teaching salary by freelancing for the local CBS Corp. television affiliate and is also helping with marketing for a relative’s home health-care business. Sanchez doesn’t pay any rent, although his father, a pharmacist, persuaded him to buy a house lot and to start saving. He also owns a truck and a Harley-Davidson motorcycle. For Andrew Schrage, a 2008 Brown University graduate, returning to his parents’ Boston home was a matter of choice, not necessity. The 26-year-old co-owner of Moneycrashers.com, a Denver-based personal-finance website, was an adolescent when the bursting dot-com bubble ended an 18-year bull market marked by an almost 15-fold gain in the Standard & Poor’s 500 Index. “I enjoy spending time with my parents and want to do so as much as possible, especially while they are younger,” Schrage said by e-mail. He helps them with household bills and chores. About a third of adults 18 to 34 who live with a parent said the move has been good for the relationship, according to a March report by the Pew Research Center’s Social and Demographic Trends Project in Washington. Only 18 percent said the move had caused relationships with their parents to deteriorate. More than 60 percent of adults 25 to 34 know friends or family members who have moved back with their parents in the past few years because of economic conditions, according to the Pew report. It cited a December telephone poll of 2,048 adults, with a margin of error of plus or minus 2.9 percentage points. The share of Americans living in multigenerational households reached the highest level since the 1950s, after rising significantly over the past five years, according to Pew. The proportion of all age groups between 18 and 30 years old living with a parent rose between 2007 and 2011, according to the Census Bureau’s Current Population Survey. The increases ranged from 3.6 percent for 19-year-olds to almost 48 percent for 26-year-olds. The ranks of 23- and 28-year-olds living with parents rose more than 25 percent during the five-year period. Even so, there may be hope next year for Sanchez. The percentage of young adults living with their parents fell over the year for four age groups, led by an almost 16 percent drop among 27-year-olds. The majority of Japanese household budgets are controlled by women, even when the man is the main earner. As incomes have been squeezed so too has the pocket money allocated for the man of the house to spend on themselves. World food prices remain high, partly due to the failure of the soybean crop in North America, and droughts in several parts of the world. China is not immune to the steep increases in food prices, and poor families in urban areas there are struggling to put meals on their tables. Al Jazeera's Rob McBride reports from Hong Kong. 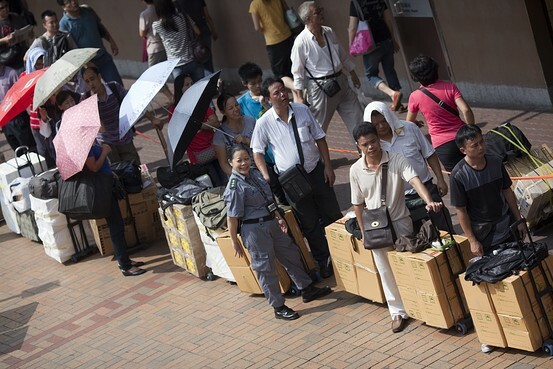 Smugglers carrying boxes of goods wait in line outside a Hong Kong subway station near the border of mainland China on August 31, 2012. For millions of Chinese, this weekend’s Mid-Autumn Festival means moon cakes, elaborate meals and family soirees. For smugglers in the southern city of Shenzhen, it’s something more: busy season. As the holiday approaches, thousands of mainland Chinese day trippers are flocking to nearby Hong Kong, where they buy up mass quantities of lobsters, moon cakes and other pricey delicacies to resell across the border for higher prices. Hong Kong’s favorable exchange rate has made it a magnet for mainland shoppers seeking both cheaper prices and stronger assurances on quality. Meanwhile, multiple-entry tourist visas have made it easy for Shenzhen residents to exit and re-enter Hong Kong an unlimited number of times per day. Such traders are bitterly resented by many Hong Kong residents, who accuse them of driving up prices of everything from milk powder to toothpaste, and of crowding subway stops close to the border. On one Facebook FB -2.45%page, locals have taken to posting angrily captioned images of smugglers and their laden trolleys. “A shameless locust trader puts four lobsters in a suitcase to smuggle home,” reads one typical post, using a local derogatory term for mainland Chinese who travel to Hong Kong to take advantage of higher quality products and services. Though frustration over mainland traders has persisted for years, the issue has reached “a breaking point,” says Peter Cheung of the University of Hong Kong, who studies cross-border issues. Tension with mainland China has simmered all year, spurred by the number of mainlanders who choose to give birth and buy up property in Hong Kong, as well as the July inauguration of a new leader who many residents see as being too closely allied with Beijing. To quell local wrath, Hong Kong’s government has been cracking down on such smugglers, who like other tourists aren’t supposed to engage in business while in Hong Kong. In the past week, authorities have arrested 160 smugglers from neighboring Guangdong province, ranging in age from 22 to 60 years old, according to Hong Kong officials. Eight have been jailed for stints of two months each, and banned from entering Hong Kong for two years. “We chose to take action near the Mid-Autumn Festival because all of them are quite active during this period,” an immigration department spokesman said Tuesday. Hong Kong’s No. 2 official, chief secretary Carrie Lam, also said this week that central authorities in Beijing have assured city officials that they will assist them in cracking down on the trade. In the meantime, city officials say that the government will add manpower at the border and that the MTR Corporation 0066.HK +0.85%, which runs the subway system, will institute tighter checks to prevent oversized luggage from being transported on its system. The chairman of the city’s Tourism Board, James Tien, has additionally proposed capping the number of times multiple-entry visa holders can enter Hong Kong to once per day. Beijing is also doing what it can to reduce tensions, last month back-pedaling on a plan that would have further expanded access to tourist visas for an additional four million Shenzhen residents. But resolving local anger over the existing influx of mainland tourists—some 28 million of which visited Hong Kong last year—won’t be easy. The city’s economy relies heavily on such visitors, which have helped boost its retail sector in recent years and also driven up the rent. HONG KONG—Real-estate transactions in Hong Kong have climbed sharply in recent days, fueled by the prospect of more quantitative easing in the U.S. and despite last week's fresh measures to cool the city's property market. 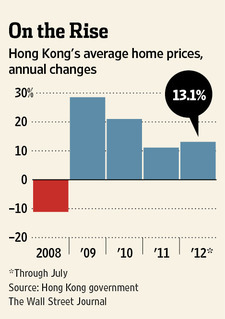 Hong Kong's average home prices have doubled over the last four years as rock-bottom interest rates encouraged real-estate speculation. Meanwhile, mainland Chinese investors, driven by a desire both to seek higher returns and to move their assets abroad, continue to snap up apartments in Hong Kong. Ricacorp Properties recorded an 11% rise in transactions at 10 major housing complexes in Hong Kong over the weekend compared with the previous weekend. And on Tuesday, Midland Realty, one of the city's biggest realtors, said that 35 major housing complexes in Hong Kong reported a 12% rise in transaction volumes for the week of Sept. 10 to Sept. 16 compared with the previous week. New projects under development also continued to see strong demand over the weekend. Blue-chip Henderson Land Development Co., which is building the Double Cove complex in the New Territories, said Tuesday it is considering raising selling prices for the apartments by 5% after seeing robust sales. Since 2009, Hong Kong's government has launched many policy measures to slow the rise in home prices, such as raising transaction levies and boosting property available for housing development through more land sales. But the efforts have largely failed, as property investments remain attractive amid low interest rates and strong housing demand. Because Hong Kong's currency is pegged to the U.S. dollar, the city's monetary policy must closely mirror moves made by the Fed, which has maintained very low interest rates since the 2008 financial crisis. That means the Hong Kong Monetary Authority hasn't been able to take monetary tightening measures to curb property demand. So even though the HKMA on Friday unveiled its latest moves to tighten requirements for mortgages, it came as little surprise to analysts that property transactions actually went up. The new rules, which force bigger down payments and apply mainly to second mortgages, were timed for release just hours after the U.S. Fed announced its latest bond-buying plan. "A longer period of low interest rates under the [third round of Fed quantitative easing] is the dominant factor in heating up the city's residential market. Hong Kong's latest steps to tighten mortgage rules will only temper sentiment mildly," said Ricacorp Chief Executive Willy Liu, adding that he expects home prices to rise 3%-5% this quarter. "People are still eager to buy real estate to hedge inflation amid ample liquidity," Mr. Liu said. Barclays noted that the latest cooling measures are "unlikely to cause a meaningful price correction." Still, it said Hong Kong authorities are increasingly signaling that they are unwilling to see property prices rise further. Housing has been a major policy challenge for Hong Kong, a densely populated city of seven million. An influx of immigrants in the 1950s and 1960s prompted the government to develop one of the world's most comprehensive public rental-housing programs. Today, nearly half of Hong Kong's residents live in some form of subsidized public housing, with the remaining half relying on a private housing sector that is dominated by the city's big real-estate companies. Rising home prices have increasingly served as a flashpoint for local anger. Critics point to the administration's earlier reluctance to restart a subsidized ownership plan, though the government ultimately bowed to public pressure last year. Hong Kong's new leader, Leung Chun-ying, took office in July and has pledged to place long-term housing planning as a policy priority. He said he will focus on building more public rental housing for low-income families and helping middle-income families to buy their own homes. In addition to Friday's moves, the city's government under Mr. Leung has unveiled various measures over the past three weeks to rein in property prices, including boosting land supply and rezoning some sites to residential use. It also launched a program to set aside land to build homes that could only be bought by local permanent residents, marking a symbolic step toward limiting the influx of buyers from mainland China. Still, home prices are likely to rise further as demand for property remains strong. "Given the lack of other investment tools amid the weak local stock market, buying property is still a smart bet," said Raymond Yeung, a senior economist at Australia & New Zealand Banking Group. Some analysts suggest an across-the-board restriction on foreign purchases of Hong Kong property, though the government would need to overcome significant resistance from the city's politically powerful developers to take such a drastic step. New Delhi: India’s retail inflation rate crept back to the double-digit level in August, led by a surge in food prices, data released on Tuesday showed, underlining the upward pressure on prices that has restrained the central bank from cutting key policy rates to boost faltering economic growth. 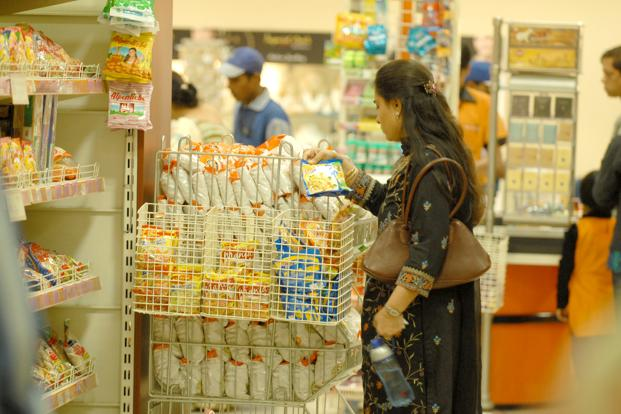 The Consumer Price Index rose 10.03% in August compared with a year earlier and from 9.86% in July, a day after the Reserve Bank of India (RBI) kept its key rate unchanged for the third straight time. Prices of vegetables (20.79%), sugar (17.51%), and protein products such as pulses (16.04%), eggs, fish and meat (11.54%) and milk products (11.43%) drove up retail price inflation last month. Data released earlier showed the more widely tracked Wholesale Price Index rose 7.55% in August compared with a year earlier and from 6.9% in July. On Monday, RBI cited persistent inflationary risk in keeping interest rates steady, while cutting the cash reserve ratio, or the proportion of deposits that banks must keep with the central bank, by a quarter of a percentage point. After cutting the repo rate, at which it lends overnight funds to commercial banks, by half a percentage point in April, RBI has resisted calls for further rate cuts. Food inflation has remained high, partly due to expectations of weak monsoon rainfall, said C. Rangarajan, chairman of the Prime Minister’s economic advisory council. “By the middle of September we know that the monsoon is not as bad as it has been, and so the inflation expectation will come down in the coming weeks and months,” he told reporters in New Delhi. That may not translate into lower inflation. The government last week increased diesel prices by Rs.5 per litre and capped the supply of subsidised cooking gas at six per household per year in a bid to reduce fuel subsidies and reduce the revenue loss to oil marketing companies that sell fuel at below production cost. The diesel price increase is expected to have a 60 basis point impact on inflation in Asia’s third-largest economy. One basis point is 0.01 percentage point. “I think what has been announced is almost the minimum that should be done under the circumstances,” Rangarajan said. “If we still want to subsidise diesel prices, either health, education and other expenditure will have to be cut or the oil companies will not be able to invest in exploration and production. Also, if you keep prices low, there are no incentives for using energy efficiently,” Ahluwalia said. Finance Minister P. Chidambaram has said that the subsidy bill this year may rise to 2.4% of gross domestic product (GDP) from the 1.9% target set in the budget. The government has budgeted for a fiscal deficit of 5.1% of GDP in the current financial year which it’s expected to overshoot. Ahluwalia said that fiscal credibility was absolutely important. Petaling Jaya (The Star/ANN) - Affordable houses and better public transport are among the main wishes of Malaysian urbanites for the upcoming budget for 2013 fiscal year that will be tabled in the House of Representatives next Friday. The younger middle-class urbanites want to start with an apartment before going on to a house when they start a family, but are daunted by the high cost of property in and around the city. "Property prices are rising with no signs of slowing down anytime soon," said software application engineer Ahmad Danial Mohammad, who is based in Kuala Lumpur. He suggested that a home ownership scheme be introduced where first-time house buyers, who are mostly single working adults, can buy a studio apartment subsidised by the government. As the buyer's savings increase, he can sell the studio apartment to another first-time buyer and use the money to buy a bigger living space, such as a condominium, Ahmad Danial said. "And should I have a family of my own, the condominium will not be enough for all of us. At that time I would like to be able to sell that unit and use the money, plus savings, to buy a landed house," he added. Ahmad Danial noted that the long-standing trend in Malaysia was "to buy a house and live there forever" which explained why "most buyers look at houses as long-term investments". Freelance web designer Ashvin Vijay, 23, liked the proposed scheme, but said the buying and selling system should be made more convenient. "Property buying and selling has to be made simpler for us," he said. "It will be more reassuring when we buy a house to know that we can sell it a few years down the road when it becomes inadequate for our needs." Ashvin believed the escalating urban property prices should be stabilised before any subsidy scheme was implemented. "The government can provide us subsidies for a house in the Klang Valley or any other urban area, but it would be pointless if property prices continue to soar," he said. On the possibility of PR1MA, the 1Malaysia People's Housing programme, catering to urbanites, he said the location of units under the scheme should not be far from the city. He said government land near the city could be converted for projects under the programme. Meanwhile, Fomca chief executive officer Paul Selvaraj said the budget should outline steps to improve public transport in the country. He said the government had placed a lot of emphasis on projects such as the Mass Rapid Transit but not enough focus on bus services "which are the most important mode of public transport". "Train services are important, but the authorities must remember that people use buses to go from their homes to the train station, and later to schools and workplaces," he said. "Bus services are especially necessary in the suburban and rural areas," said Selvaraj. "The authorities should not focus on the Klang Valley alone, but also pay attention to the outskirts where many who work in the city live." Selvaraj believed that public transport could not be widely promoted in Malaysia yet as it was "not convenient enough". He added: "If public transport is efficient, it will automatically become the preferred means of getting around, in which case the high price of vehicles would not be an issue as people would then have a choice." The recent million-dollar deal for a HDB flat in Queenstown could soon be broken, as a number of resale flats are currently on the market with asking prices well over S$1 million. A search of the 10 most expensive HDB listings on PropertyGuru with asking prices above S$1 million showed that the costliest unit, a three-bedroom executive apartment in Geylang, is going at S$1.52 million. Located at Sims Avenue, the 1,800 sq ft unit is within walking distance to Eunos MRT station. The second priciest is a four-bedroom, 1,776 sq ft executive maisonette in Hougang with a price tag of S$1.35 million. It is within close proximity to Hougang and Kovan MRT stations. Meanwhile, the other eight flats have an asking price ranging from S$1.06 million to S$1.3 million. A study of all 10 listings revealed that they are more than 1,000 sq ft each and within one-km from MRT stations. Most are executive maisonettes in the central Hougang area. A real estate agent who spoke to PropertyGuru was not surprised over the sky-high flat prices, given their attributes such as an ideal location, high floor and unblocked views. “Generally, units on the high floor which are unblocked command a high asking price, especially in land-locked Singapore,” said Khalil Adis. He added that units in prime areas such as Redhill, Tanjong Pagar, Tiong Bahru, Holland Village and Bishan could be sold at S$1 million. In particular, Pinnacle@Duxton is expected to “reach the million-dollar mark as the next few years, the units are eligible to be sold in the resale market after the five year Minimum Occupation Period (MOP) is fulfilled”, noted Adis. Prices would depend on unit facing, floor location, amenities and proximity to MRT stations. Going forward, million-dollar resale flats would “certainly generate a lot of interest particularly from sellers in the area. This is because they will take this transaction as a benchmark and will want to equal or ask for a higher selling price”, said Adis. Nearly 20 percent of first-time home buyers in Australia could lose their homes in the coming months, according to an Australian Mortgage Stress Analysis Survey. The study, which surveyed 26,000 households, found that the number of young home buyers in severe mortgage stress is set to surge, with many families at risk of being forced by lenders to sell their properties. Households in Tasmania are most at risk with 17.2 percent of borrowers either late on their loan payments, forced to refinance, or pressured by lenders to sell. This is followed by the Northern Territory (17 percent), South Australia and New South Wales (both 16.4 percent), Queensland and Victoria (both 16 percent), ACT (15.2 percent), and Western Australia at 14.4 percent. Digital Finance Analytics (DFA), the research agency that conducted the report, said the crisis is attributed to budget mismanagement and rising household costs. “They don’t know what their incomes are or their outgoings are and they don’t have the money to maintain their lifestyles,” said Martin North, Director at the DFA, adding that 50 percent of households surveyed had no proper budget to cope with expenses. 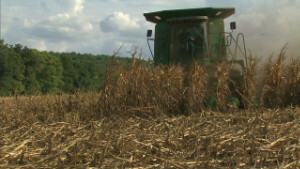 A severe drought in the United States has wiped out much of the country's corn crop, pushing up global prices. In Mexico, corn is central to most people's diets, and to many farmers' livelihoods. Al Jazeera's Adam Raney reports from Tlaxcala, Mexico.